Looking for a Drug Rehab or Alcohol Treatment Facility in Tennessee? The decision to enroll in a drug rehab in Tennessee will help residents overcome their drug or alcohol addiction. 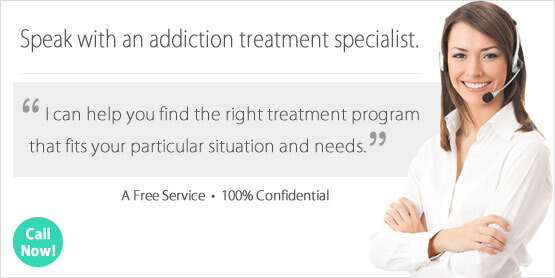 The primary goal of addiction rehabilitation is to assist the addicted person in getting clean and sober. This goal is accomplished by the client and staff members working closely together to identify and work through the issues that motivated the program participant to misuse drugs or alcohol. In addition to addressing personal issues, the client's time in rehab assists them in developing new ways of handling life's ups and downs in a healthy and productive manner in the future. Determining the best type of drug rehab in Tennessee will be the first factor to address. There are inpatient and outpatient treatment programs located in the state, and each provides their own method of rehabilitation. Generally speaking, inpatient treatment offers more support, guidance and a substance-free environment during recovery. This is a great choice for all types of addiction types, and typically these programs have higher success rates than outpatient treatment. On the other hand, they are often more expensive than outpatient care and require a commitment of living in the treatment facility during the recovery program. Many individuals in need of treatment gravitate to outpatient rehab programs because of the flexibility they offer. Depending on the type of outpatient rehab, the client is usually able to continue their work or school schedule while receiving addiction rehabilitation services. The program participant is also able to remain in their home, surrounded by individuals that love and support them. However, addicted persons who do not have a supportive, substance-free home life will have a difficult time in outpatient rehab. This less intensive form of treatment requires the program participant to remain clean and sober when away from the treatment facility. A perilous position to be in if one's home environment is not supportive of recovery as well as drug and alcohol free. The Tennessee Department of Mental Health and Substance Abuse Services 2013 report on the prescription drug epidemic in the state exposes a number of disturbing facts. In this report, prescription opioids are named as one of the most serious and costly drug threats endangering the lives of Tennessee residents. In the past, alcohol has been the predominant substance of abuse sending residents into drug rehab programs across Tennessee. This changed in 2012 when prescription opioids surpassed alcohol as the primary substance of abuse for individuals entering drug through the Tennessee Department of Mental health and Substance Abuse Services. A reflection of this fact is evident in Tennessee drug rehab enrollment statistics. The number of residents receiving drug rehab in Tennessee over the past decade for prescription opioid has risen from just over 10% to an estimated 50%. Additionally, the report notes that "Tennesseans were more than three times more likely to identify prescription opioids as their primary substance of abuse than the national average". Alcohol treatment usually involves detoxification, counseling and medication in some circumstances. During 2013, alcohol treatment in Tennessee consisted of 14.6% of all treatment admissions during that year. However, in 2014 the percentage dropped to 13.7% of all drug rehab enrollments in Tennessee. This downward trend in alcohol treatment enrollments in the state began several years back. Data from the Substance Abuse and Mental Health Services Administration (SAMHSA) 2014 Tennessee Behavioral Health Barometer discloses "Tennessee's percentage of treatment for alcohol use among individuals aged 12 or older with alcohol dependence or abuse was lower than the national percentage in 2009'2013." Likewise, the number of individuals aged 12 or older struggling with alcohol dependence or abuse is estimated around 11,000 individuals (3.6%) per year between 2009 and 2013 who actually received treatment for their alcohol addiction issues within the year prior to being surveyed. This report indicates that while 3.6% of the individuals in need of alcohol treatment in Tennessee received care, 96.4% alcohol dependent persons did not receive the treatment they needed to help overcome their addiction problem. For inpatient treatment to be an option, the addicted person must be willing to move into the rehab facility. If they are not, then outpatient treatment will be the only route to pursue. However, if they are willing to enroll in an inpatient program pursue this form of treatment. Statistically, inpatient programs have the highest success rates for helping their clients achieve and maintain their sobriety. Does the addicted person require detoxification services? An addict who is physically addicted to drugs or alcohol will require the help of detox services before they are ready to participate in the rehabilitation program. Detoxification helps to remove the drugs or alcohol from their system and prepare them for the rehabilitation process. Is the person willing to relocate or do they need to stay close to home? When recovery can take place away from home, inpatient treatment is a great option. Leaving behind day to day life to focus on getting clean and sober benefits the addicted person. They are surrounded by like minded individuals as well as the opportunity to live in a substance-free environment. Persons who must remain close to home to maintain work or personal obligations will find outpatient treatment provides the best opportunity for treatment. Last of all, what type of treatment philosophy will best fit the addicted persons recovery needs? Today, there are a number of different types of treatment philosophies practiced in drug rehabs in Tennessee, and across the country. Frequently found rehabilitation philosophies include scientific approaches, cognitive behavioral approaches and 12-step based treatment just to list a few. Each year the National Survey of Substance Abuse Treatment Services (N-SSATS) compiles state specific data on topics such as drug rehab characteristics, services offered and the number of clients enrolled in treatment. The survey data from the March 29, 2013 report indicates there were 221 substance abuse treatment facilities operating in Tennessee at that time with 14,1749 clients enrolled. Of the 221 facilities, 178 provided outpatient treatment, 74 were residential rehab centers and 15 were hospital inpatient programs. Due to the nature of addiction and how different each individual's recovery needs are, not every program will work for every addict. However, when looking at the numbers for which types of treatment methods result in long term sobriety, the overall consensus is an inpatient rehab programs offer the greatest chance of achieving sobriety. Statistics from the 2011 Treatment Episode Data Set (TEDS) on discharges from Substance Abuse Treatment Services reports "The completion rates for residential treatment (54% for short-term residential treatment, 53% for hospital residential treatment, and 45% for long-term residential treatment) were higher than in the less structured outpatient settings (37% for outpatient treatment, 33% for intensive outpatient treatment, and 12% for outpatient medication-assisted opioid therapy treatment)." With these numbers in mind, the decision to enter an inpatient drug rehab in Tennessee is one of the best choices an addict can make. What Does Inpatient Rehab in Tennessee Involve? This process involves packing up the program participant's essentials and moving into the treatment program during recovery. Generally, the inpatient treatment center will provide a safe, substance-free environment during rehabilitation as well as nutritious meals. The program participant can expect the days to be filled with group therapy, individual counseling and other rehabilitation services. Often, each part of the day and evening are structured with periods of time allotted for meals and free time. Program lengths vary from under a month to several months on end. The duration of the program is dependent on if the program is a short-term or long-term inpatient treatment center. Statistics from the March 29, 2013 N-SSATS report on Tennessee reveals there were 74 inpatient programs at the time of the survey. Many of these inpatient programs offer various lengths of treatment ranging from short-term to long-term care as well as detoxification services. Of the 74 inpatient treatment programs in Tennessee at the time, 46 provided short-term care (less than 30 days), 67 provided long-term care (greater than 30 days) and 26 provided detoxification services. If inpatient treatment in Tennessee is needed, please speak with one of our addiction specialists. They will be able to answer additional questions and go over the many inpatient programs available in the state. What Does Outpatient Rehab in Tennessee Involve? What does outpatient treatment in Tennessee involve? Choosing outpatient treatment in Tennessee involves putting rehab first in one's daily life. This means making the commitment to attend the outpatient treatment program on the schedule set by the rehab staff. Likewise, outpatient treatment involves the ability to remain clean and sober during treatment. This type of treatment focuses more on understanding addiction and recovery, and less on the physical aspect of detoxification and withdrawal. If these rehabilitation services are needed, they should be conducted prior to entering the outpatient treatment in Tennessee. Information from the March 29, 2013 N-SSATS report shows there were 178 outpatient treatment programs in Tennessee. Many of these facilities provide more than one type of care, making their rehab centers versatile for a variety of treatment types. Of the 178 outpatient treatment centers in Tennessee, 151 provided regular outpatient care, 99 delivered intensive outpatient care, 35 offered day treatment/partial hospitalization, 14 provided detoxification, and 12 delivered methadone/buprenorphine or Vivitrol maintenance. Looking for outpatient treatment in Tennessee? Our addiction specialists will be able to address any questions and go over the many outpatient programs located across Tennessee.